In general, though, the shock wore off pretty quickly. And on social media, many POCs just shook their heads. While some people lamented how far America had fallen with the use of such language, others were more sanguine: Why is anyone surprised at this latest utterance, considering the president's track record? Later in the year, Charlottesville, Va., erupted, and we saw white nationalists streaming through the university town's streets, carrying torches and chanting about how they refused to be replaced by Jews or people of color. There would be no questioning their superiority as white people. Counterprotests erupted; some became violent, and one woman was killed when a white fascist drove into an integrated crowd and mowed down several people. Yet the nation waited two days for Trump's reaction or statement. And when it finally came, many were shocked. 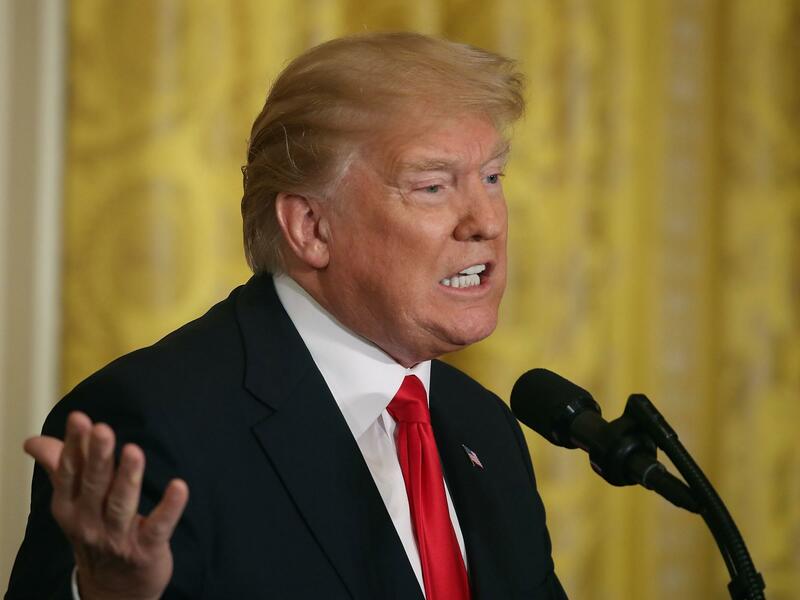 In a brief news conference, the president chided the media for its uneven coverage, even as leaders of his own party squirmed on the sidelines. "There are very fine people on both sides," Trump insisted, saying that antifa demonstrators bore some of the blame for the chaos too. When Trump decided to insert himself into the NFL player protest later that fall, cries of racism became more plentiful. House Speaker Paul Ryan offered a tepid defense of his commander in chief: Trump is not racist, he said in an interview; "his heart is in the right place." The implication was that the president meant well, but sometimes he doesn't say things right. That's one way of looking at it. The other way is this: He's saying exactly what he wants to say. As the Congressional Black Caucus pointed out, "Make America Great Again" really means Make America White Again. People from Africa, Latin America and the Caribbean are who Trump doesn't want. But he cannot turn back time. The country is getting browner, and America 2018 is never going to look like America 1918. Interracial marriages continue to increase; the bi- and multiracial population steadily grows. And the world has not stopped spinning. So yes, calling most of Africa and the Western world's oldest independent black nation the institutional equivalent of a latrine is a new low in racial vulgarity for this president. But we probably haven't reached an absolute nadir yet. Nevertheless, we should worry at the constant stream of racist, crude remarks this president unleashes on the public. Normalizing that kind of behavior leads to what sociologists call "otherization" — making the subject of one's remarks different from one's self to the point that it is easier to neglect, harm, even kill people one doesn't see as people. It happened in Germany in 1939. It happened in Rwanda in the '90s. It's happening now in Myanmar. Donald Trump's relegation of whole nations filled with black and brown people to an undesirable inconvenience is another step down a slippery slope. If it's not called out and stopped, it could lead to something far worse than hurt feelings. Which is why we should still take a moment to be shocked when the president of the United States says racist things. Even if you know his history. Editor's note: NPR has decided in this case to spell out the vulgar word that the president reportedly used because it meets our standard for use of offensive language: It is "absolutely integral to the meaning and spirit of the story being told."